When we say siblings the first thing that comes to our mind are our immediate brothers and sisters. We are with them 24*7 sharing almost everything right from parents and after the initial sibling rivalry subsides they usually become our best friends for life. My story is no different when it comes to my baby sis! She is no more a baby, but she will forever be that for me! Another set of siblings are the cousins! We are a mad bunch and have had some amazing time growing up! Even today when we catch up, we can talk endlessly about the numerous summer holidays we spent together while boring our partners to death! That still doesn’t stop us, and we continue to yap, but that’s a different story! However as years passed, she was also my partner in crime, my sounding board or my partner to discuss important matters – right from Which dress to wear to Should I marry this guy? I still remember the times when I was delayed from my friends get-together, she was the one who would give me a heads-up of the mood at home ( read mom’s temper) and every time we went shopping, I relied on her to help me pick! Now we live in different cities and don’t really have the time to call every day, but we know if there is a need, the first person to know about it will be each other! I completely agree with the above quote. We know our family and that’s what makes our bond stronger. We are grateful that our families ensured we met every summer, even if we lived in different cities and those were the best days of my life! We loved reading and there was a time when we found mystery in everything! After reading Nancy Drew, we were so sure that the beggar who had come to collect alms was a member of a gang and she was recceing the place to strike later! We even followed her, sadly she went to a close by temple and stayed there eating her recently gained snacks and drinking some tea! Our ancestral home is old with a lot of corridors, interconnected rooms and old fashioned lofts! We were convinced that the dusty old lofts and store rooms hold key to some magical treasures! We never found anything except for loads of books, but still that was a fun scavenger hunt! The age when suddenly all girls are allergic to boys and vice-versa also saw some epic banters with parents and grandparents trying to intervene. But nothing went beyond a week and those banters today form the basis of some great stories. Being undercover sleuths to creating epic meal spread; Staying up all night under the stars to building tents in the orchard; Trying our hand at planchet and then worrying what if the ghost didn’t return to the other world and stayed put in our hideout; to coming up with some crazy experiments just to prove a point – we have done it all! The best part was in all our brilliant plans and ideas we were all together. Nobody ever questioned the idea or thought; it was always all for one and one for all! I am blessed and grateful to have a sister and a mad bunch that I can trust my life with! I recently came to know that there is a Siblings Day! I guess for us, every meet-up is a Siblings Day. 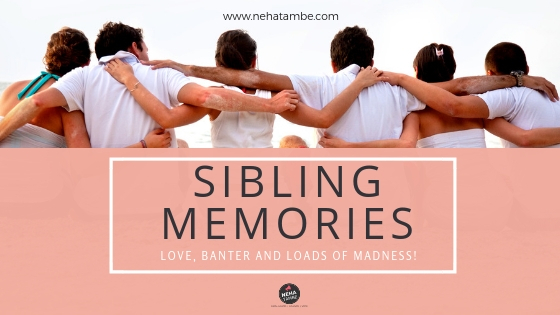 These are my #Siblingstories some fun, some wacky but all extremely endearing! Do you have a mad bunch with whom you are never afraid of being your own true self? 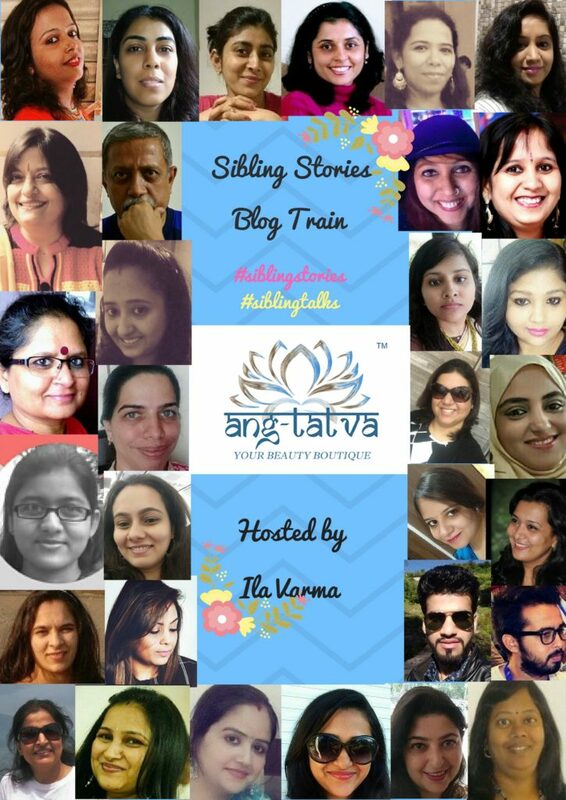 #SiblingStories is a blogging train hosted by Ila Varma in collaboration with the Brand Ang Tatva. Thirty esteemed bloggers from blogging fraternity have joined hands to participate in the Blog train for #SiblingTalk reviving the sweet and tickling hours spent with loving siblings and revive golden memories of the past. I received the baton from Shilpa Trivedi and now read next series of #SiblingStories contributed by Prerna Wahi. 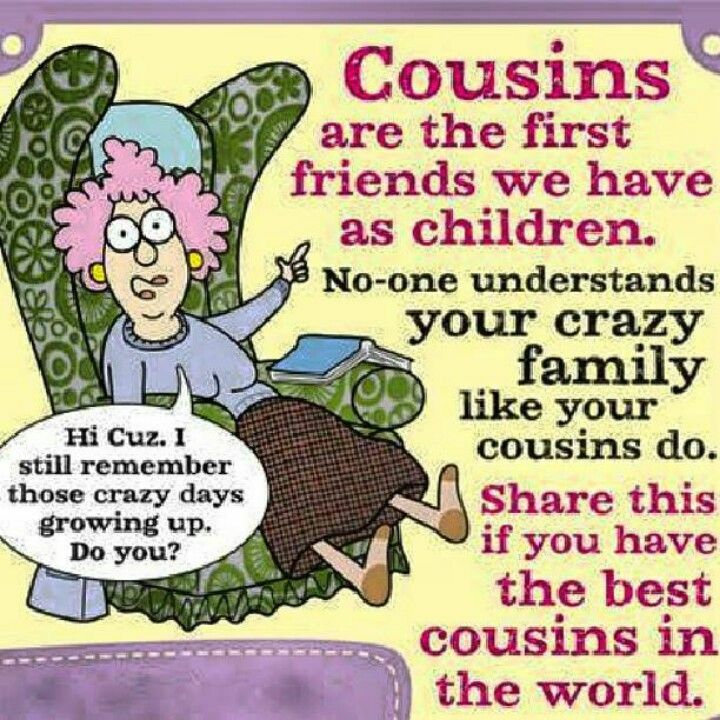 How wonderful that you included cousins, Neha. That is neat. Sometimes we are closer to our cousins than we are to our siblings na. Loved reading about the fun you had with your cousin gang. Nice post , I too have lots of cousins and we make a great gang .we have enjoyed a lot during summer holidays and still cherish all that as fond childhood memories. Very well crafted post. Our stories are quite similar, Neha. I have the best memories of my childhood at my old ancestral home playing, crying, laughing with my cousins. And we continue to do that till today. Nothing has changed except the rendezvous and now the fun is online, it still has its essence retained. I thoroughly enjoyed reading your article Neha and actually went back to my childhood memories with my cousins. Lovely read! Cousins do play a big role. We often forget their presence. My two cousins brothers are the closest ones. We used to meet every summer break and did so many fun things together. Beautiful capture of sibling memories. Happy that you included your cousins also here since the extended families are more important in this nuclear family era. Post is very well crafted. Loved reading every bit of it. And I thought imagining treasures in dusty lofts and following beggars like real-time spies was in the boys-only domain. Loved the post for sounding like a thriller. I liked how you have extended the sibling definition and significance with cousins too. Coming to think of it, my cousin who is my age is rather closure to me for logical reasons than my sister who is five years younger. Really enjoyed your post. What a lovely nostalgic ride! It was wonderful reading about sister and cousins. It was such a fun read. You made me nostalgic about my vacations during my childhood days!! Well written article. Such a nostalgic post. It reminded me of my time with my brothers and cousins. It reminded me of what we used to in our summer holidays. I laughed on the part that it is my blog post, Let me be the heroine. Loved and enjoyed reading your post. The great bond shared and yes thats so true, they are the best friends ever. 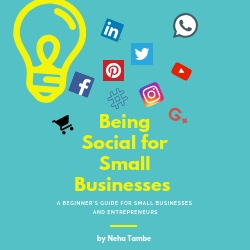 Overall a superbly written blog post. Its true Neha, sibling is your best friend who will never leave…a special bond and a never-ending love. I am a single daughter so for me my cousins are more than siblings. Will share my story too. i was never close to my cousins, unfortunately since we stayed in diffrent parts of the country. i really miss that bond. The Mad World of Crazy Siblings! #SiblingStories – Keep Smiling !! The love and bond and secrets shared between our siblings and cousins is eternal.Glad that you have such precious relationships.Lovely read. Cousions are indeed blessings. I dont have a cousion sis but my cousion brothers are my bestest pals and we have those fights that make our bond stronger. I too remember the Nancy Drew Days! We all became sleuths and everywhere there was a mystery to solve and people to investigate! Lol!